Warren Buffett is generally regarded as the greatest investor of our time. That’s why every quarter, when Buffett’s fund Berkshire Hathaway updates portfolio holdings, Buffett followers scrutinize the reports, hoping to profit from the moves of the world’s 3rd richest person. Berkshire’s Nov. 15 third quarter report gave investors lots of changes to analyze: Buffett revealed that he reduced six positions, added to six existing positions and initiated four new positions – JP Morgan (JPM), Oracle Corp (ORCL), PNC Financial Services (PNC) and Travelers Companies (TRV). The four new positions comprise a small part of Berkshire’s portfolio at the end of the 3rd quarter: Only JPM, at 1.82%, was greater than a 1% portfolio holding. But possibly it’s these new holdings that investors should be paying the most attention too. It’s not news that Buffett’s best returns occurred a couple decades ago. In recent years, Berkshire’s assets under management have become so large that posting market-beating returns has become challenging. Since 2001, Berkshire Hathaway A-shares (BRK-A) have gained 347%. That’s an annualized return of about 9%. Over that same period of time, the S&P 500 generated a total return of 201%, which is about 6.5% annualized. Buffet’s recent returns are good, if not great. But here’s how Buffett followers could have nearly doubled the returns of BRK-A – by investing in the brand-new stock positions Buffett initiates every quarter. Buying equal positions of Berkshire’s new holdings, then replacing those holding with next quarter’s new picks, would have generated a total return of 1463% since 2001. That’s an annualized return of about 17%, nearly double the performance of BRK-A. I discovered this strategy by using Whalewisdom.com’s 13F Backtester. Buying new Berkshire positions and rebalancing quarterly would have generated a total return of 1463% since 2001, an annualized return of about 17%. 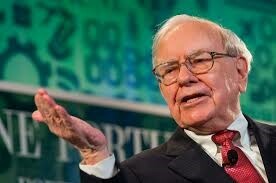 Certainly, there are other strategies one can develop by analyzing Berkshire Hathaway’s portfolio. For instance, “cloning” an equal-weighted portfolio of Berkshire’s ten largest positions since 2001 would have returned 8.6% annually. If you’re not familiar with the concept, cloning refers to imitating the portfolio holdings of a fund manager by copying the Form 13F positions disclosed by the manager’s fund. A 13F is a filing that all institutional investors who manage over $100 million in assets must submit to the SEC no later than 45 days after the end of the March, June, September, and December quarters. By emulating Buffett’s positions every quarter, you can essentially let the best fund manager in history run your portfolio. And it’s free of charge! But backtesting shows that there’s something special about the performance of Buffett’s new positions – at least over the short term. Whatever the reason, Berkshire’s newest portfolio additions are a good bet to beat the market over the next several months. Disclaimer: Do not construe anything written in this post or this blog in its entirety as a recommendation, research, or an offer to buy or sell any securities. Everything in this post is meant for educational and entertainment purposes only. I or my affiliates may hold positions in securities mentioned in the article.